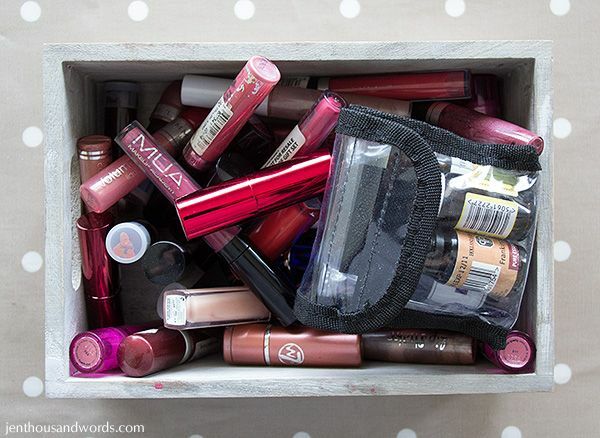 My lipsticks and lipglosses were stored in a little wooden crate, with my essential oils in a plastic pouch on top of them. 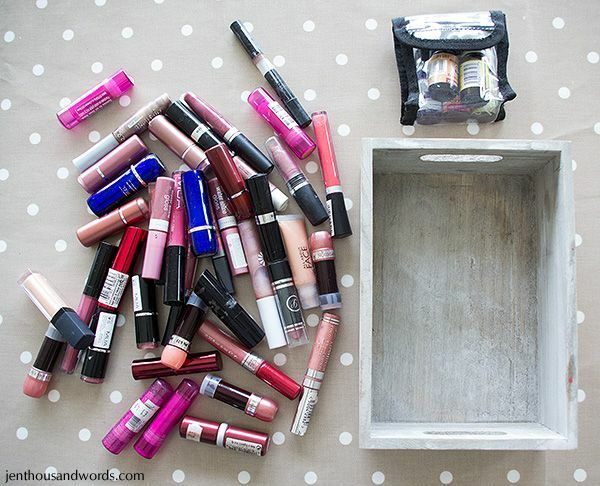 They were contained but not very organised - it was hard to find a particular lip colour that I wanted. 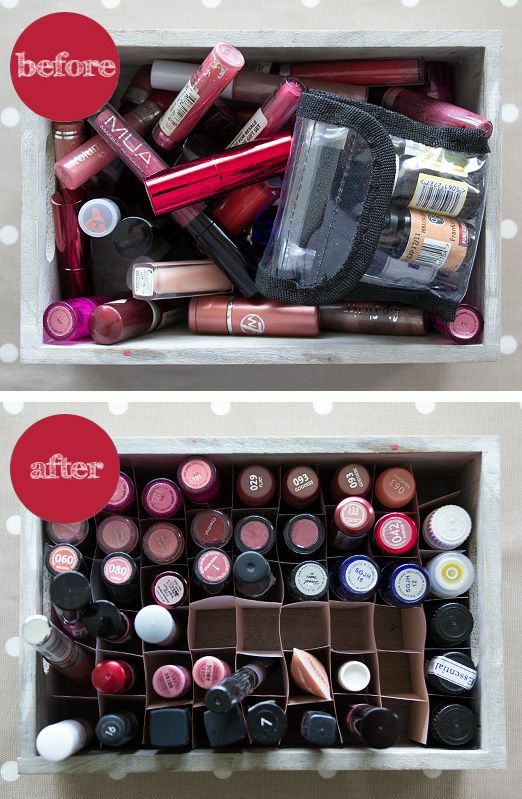 So I tipped them out and started from scratch. 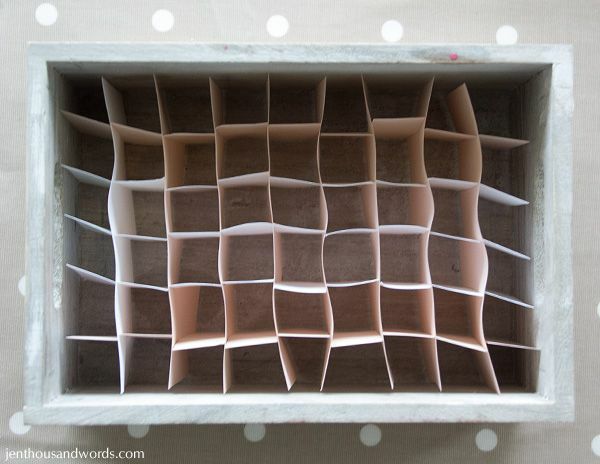 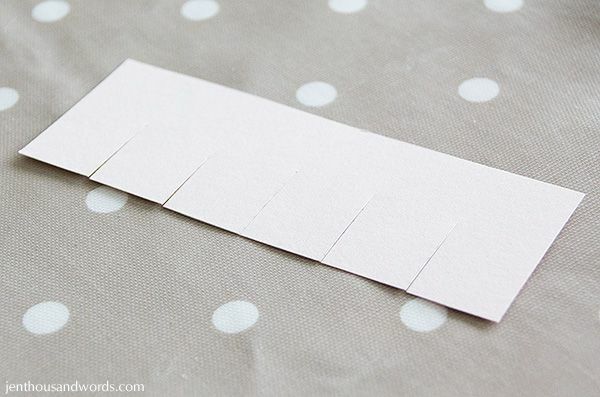 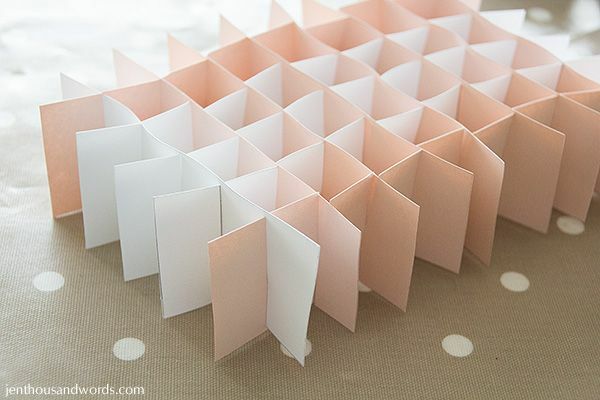 I used a the same technique that I'd used for my nail polish storage - I cut strips of thin card and cut notches halfway through each strip. 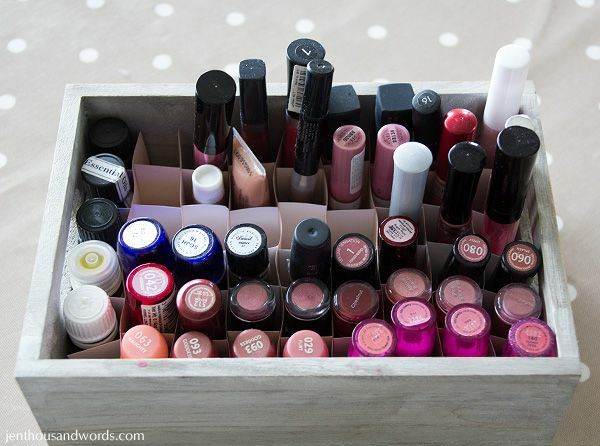 ... and keeps my lipsticks, lipglosses and essential oils organised.